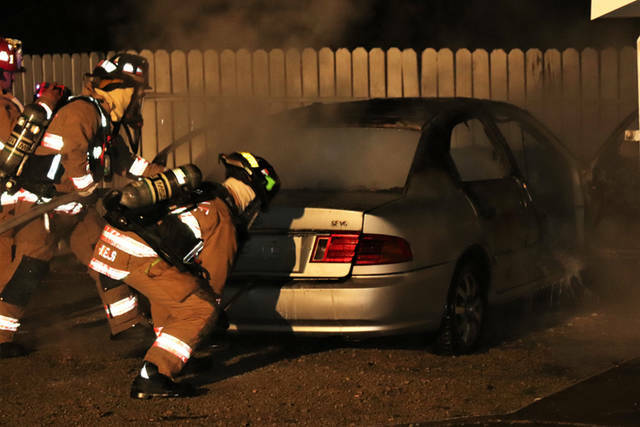 A gray Kia Optima located in an off-street parking area behind a residence was destroyed in a suspicious fire Tuesday night. 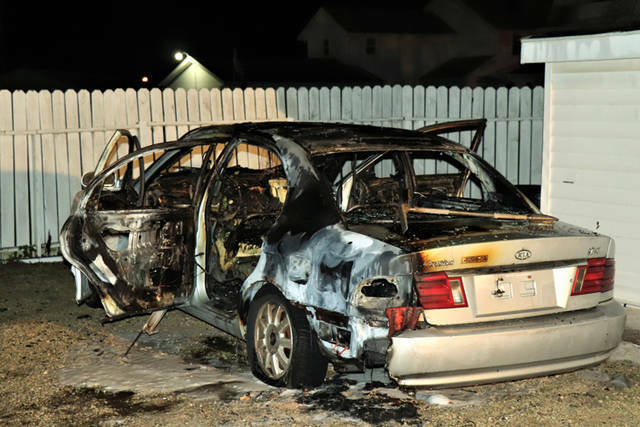 GREENVILLE – Authorities are investigating yet another suspicious fire after responding to a vehicle fire late Tuesday night. Shortly after 11 p.m., emergency personnel from Greenville City Fire and Greenville Township Rescue as well as officers from the Greenville City Police Department were dispatched to the area of West Main and Vine streets in reference to a possible structure fire. Arriving Greenville police officers determined the fire was actually a vehicle fire located in the alley behind 136 Vine St. and redirected responding units to the area. 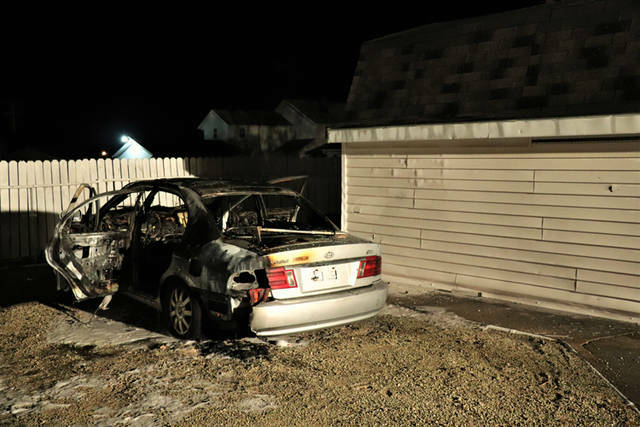 According to the Greenville Police Department, a gray Kia Optima located in an off-street parking area behind the residence was destroyed in the fire. Because of the action of a Shrader Retread employee, who was outside on a break and not only discovered the fire but placed the 911 call, the fire was able to be contained and extinguished before spreading to the nearby exposures. A shed, located just feet from the vehicle, did suffer minor damage from the heat and flames. The mother of the vehicle’s owner said the vehicle had not been driven for nearly a year and that no one had gained access to the vehicle in recent days. She added the vehicle could only have been seen from the alley way, and that someone would have had known the location in advance. Officers on scene said it is for these reasons that the fire seems suspicious in nature. The fire will remain under investigation by the Greenville City Fire Department. This entry was tagged fire, Greenville, Greenville City Fire Department, Greenville City Police Department, Greenville Fire Department, Greenville Police Department, Greenville Township Rescue, Shrader Retread. Bookmark the permalink.